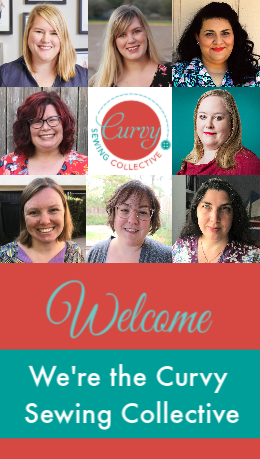 Welcome to the Curvy Sewing Collective! As our name suggests, we’re a group of curvy sewing bloggers intent on demystifying all things plus-sized and home sewing. 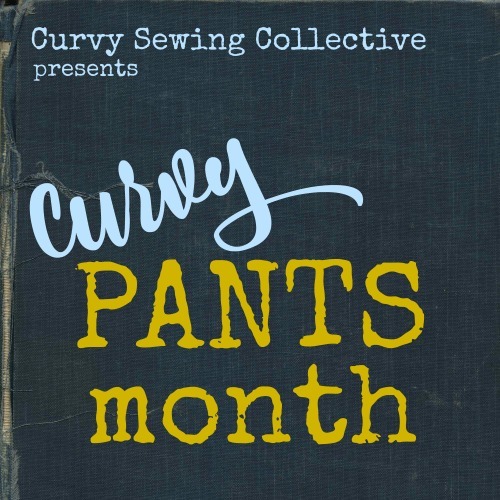 The Curvy Sewing Collective began in the spring of 2014, the brainchild of Jenny and Mary, as a way to bring together the plus-sized sewing community and address issues common to curvy sewists. Many plus-sized women, ourselves included, began sewing as a refuge from the exclusionary sizing and unimaginative designs of ready-to-wear fashion. However, without fitting help or style inspiration, home sewing can be just as intimidating! All too many pattern companies stop their sizing short of our measurements or don’t advertise their designs on plus-sized bodies. We believe that higher visibility in the sewing community is the key to addressing these concerns. The more curvy women who are encouraged to sew and share their creations, the more the industry will take notice of our needs. To further that effort, the Curvy Sewing Collective was born! The six editors of the Curvy Sewing Collective represent the plus-sized community in all its inclusive, gorgeous range. Though we each self-identify as curvy sewists, we are a wide range of sizes, ages, and backgrounds. Whether you’re a pear shape or hourglass, beginner or advanced seamstress, you can find common ground here. Above all, the CSC is united in the belief that body positivity and personal style are the keys to joyful home sewing. When a woman makes something she loves that fits her body impeccably, self-confidence shines through. To that end, you won’t find any dieting tips or complaints about cellulite on this website. Instead, we celebrate the female shape in all its varied, beautiful glory. 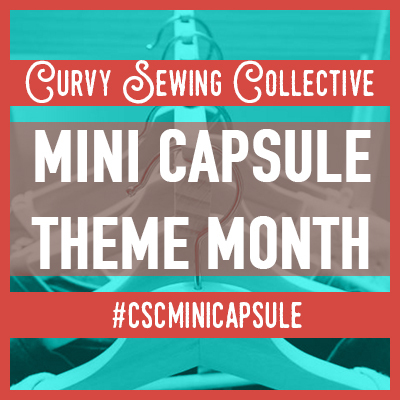 Here at the Collective, we’ve gathered a range of curvy-specific sewing resources. Our editors and contributors have pooled their knowledge to provide pattern reviews, fitting tutorials for all manner of shapes, and home-sewn style inspiration. We also have a forum, open to all Collective readers, where you can further interact with other plus-sized and curvy sewists. If you have specific questions about a pattern or want to swap sewing war stories, that’s your new favorite place! Overall, we hope to create a positive, helpful community where all sewists feel welcome. Incidentally, we love posts from other sewing bloggers. If you have a great homemade outfit to share or tips to impart, get in touch! We’d love to add your positive, stylish voice to the Collective. If you have questions or comments, e-mail us at: mail@curvysewingcollective.com.